I was out on my bike Tuesday and had a revelation that made me smile and laugh out loud a little – close to 90% of what was with me while riding was obtained from one store: Podium Multisport. I have been on the race team for two years now, and going on a third. So that got me to thinking – what creates tri (or bike)-store loyalty? 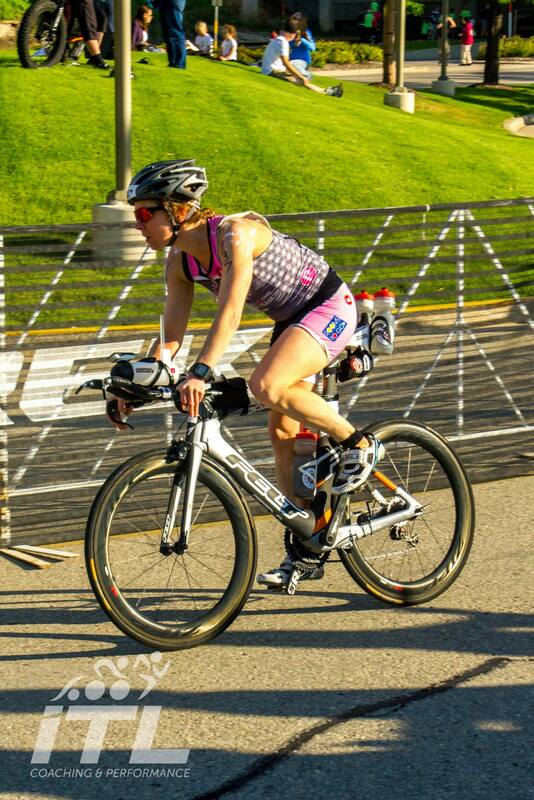 I include bike stores since, as a triathlete, my bike is my biggest investment for the sport. From initial investment, to changing (upgrading) components, to general maintenance, to dealing with snafus – my bike is central to other choices and decisions. From my experience and conversations I feel comfortable saying the following: expertise on bikes (fit, maintenance, and ability to assist and perform upgrades) trumps everything. Following that, location is important. 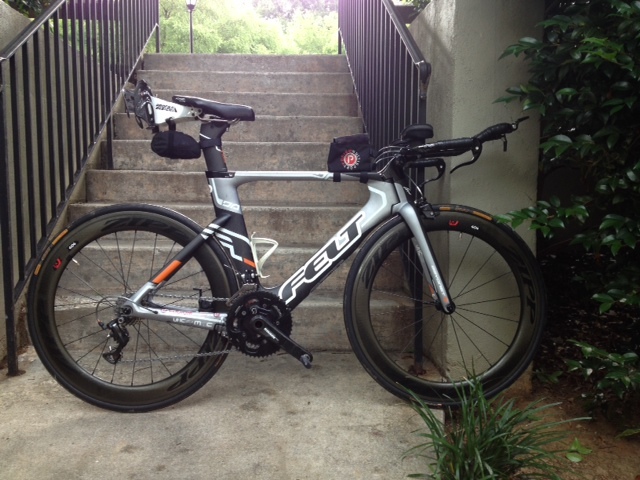 The fact is, not everyone has time to drive 30 minutes one way to a store for every detail you need for a triathlon. Service is also important. I have had a good number of friends, knowing I am a part of the Podium Race Team, tell me of their experiences at Podium. Several have told me that when they go there they felt like the staff person helping them wanted them to succeed, regardless of whether they were a Podium finisher or middle or back of the packer. And some of those few have told me they wish they lived closer so they could go there more often. Other friends have told me they go to a bike/triathlon specifically for their expertise – primarily mechanical (Di2 shifters, knowledge of a specific bike make, bike fit, components, etc). They may go to a store closer to their home for general items, but when they have a specific bike requirement, they go the extra distance for the expertise they can get at Podium, or other stores/individuals. I have spoken with and heard several stories of people driving quite a way (including across states) for bike expertise. It seems every time I do an organized century, or even in a tri, someone inevitably compliments my bike fit, and have been told that “It looks like [I} can ride all day.” Pretty much I can. I feel as good getting off my bike after a century ride as a 25 mile ride. People have actually asked me, when they see me in my Podium Kit, if Matt fit me on my bike. That one always gets me. I have learned to ask questions, and appreciate that the Podium staff do not mind my questions, and in fact have taken the time to teach me a few things about basic maintenance and tell me what they are doing to my bike and why. And after a service or modification with a new part, Gareth always gives me a detailed rundown of what he did, why, and what it means to me. And he patiently answers my questions (at least to my face 🙂 ). It was Podium employees that taught me to ask for the extra and left over parts (since I had paid for them) to use in the future. And they always give the parts to me unasked. The fact is most bikes are complicated machines. And, as bikes get more complicated, not every new component someone wants to add to their bike is a perfect fit. And it takes some creative thinking to get things to work. When I got my power meter we had to go through a few “let’s try this” items to find a place to where the magnets would register for the power meter, but not get pulled off as I rode. This was a bike design issue. But Andy found a way, and showed me what he did. Very impressive. And when I got race wheels put on my bike, the Felt brakes for the year my bike (among a few other items) was made created several issues in getting everything to work. But Gareth found a way. And also told me what he did, and what it meant to me as a rider, which I really appreciated. And I cannot tell you how many times I have gone to Podium with a race looming and a technical problem. Each time Podium has gotten me up and running for the race, even with dealing with a third party vendor and working through overnight shipping and product warranties. No one tri or bike shop is perfect for everyone. And in Atlanta there are many choices. I have learned that I am fortunate to have expertise in my bike and terrific service close to me (10-15 minutes or 20 in bad traffic).